Join us for a Sunday afternoon casual Summer Flea here on Cape Cod! Multiple vendors will be set up outside selling vintage, handmade & other fun things! Food items also available. 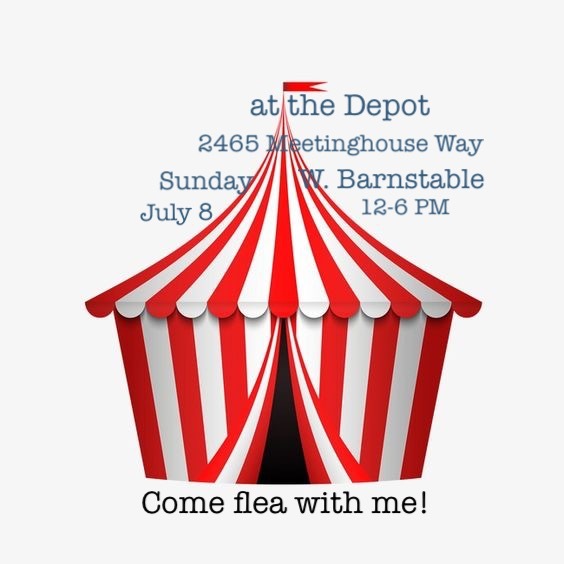 Find us at The Depot, 2465 Meetinghouse Way/Route 149, West Barnstable, on the second Sunday of August (August 12)! Hours are 12p-6p. What will you find at the Flea?